Courtesy of Cutler Real Estate 614-792-7500, Amy E Conley 614-792-7500. Private highly sought Hoover Reservoir waterfront estate on 16.76 acres. Timeless Georgian architecture built to perfection, a collaboration of design between Owners, Sullivan & Gray architects and builder Bob Webb. Manicured gardens surround the circular herringbone paver brick courtyard with walks continuing around the home. Take in breathtaking sunsets over the reservoir from your sunroom or owner’s suite balcony! 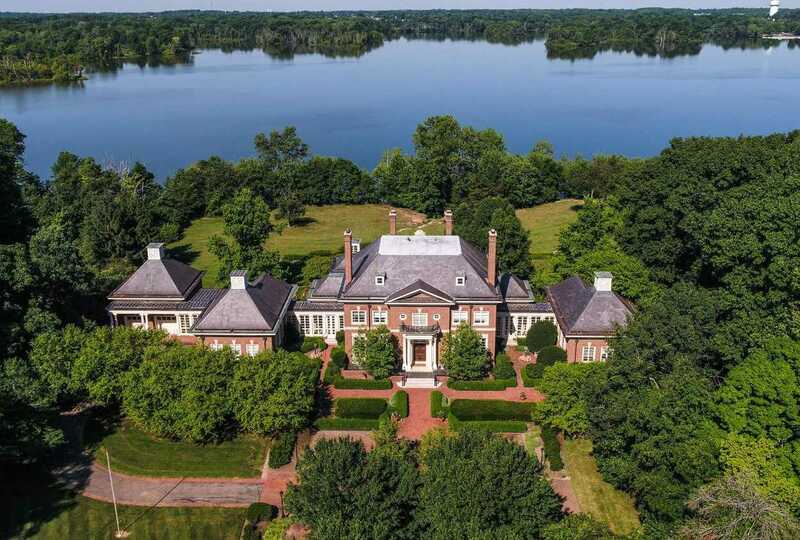 Luxurious inside and out, slate roof, copper downspouts, gutters, approximately 265′ of water frontage and a Tennis Court. NO SIGN, DO NOT ENTER LANE WITHOUT APPOINTMENT. District: BIG WALNUT LSD 2101 DEL CO. Please, send me more information on this property: MLS# 218029740 – $2,695,000 – 4348 Sunbury Road, Galena, OH 43021. I would like to schedule a private showing for this property: MLS# 218029740 – $2,695,000 – 4348 Sunbury Road, Galena, OH 43021.